So says Chumbawamba, and so do Bruins. UCLA Basketball had a down season last year, but bounced back this year. Then this season they hit a rough patch, but they got on a roll again. Then on Thursday night, they fell down by 19 points, but got up off the deck, and charged back to victory. 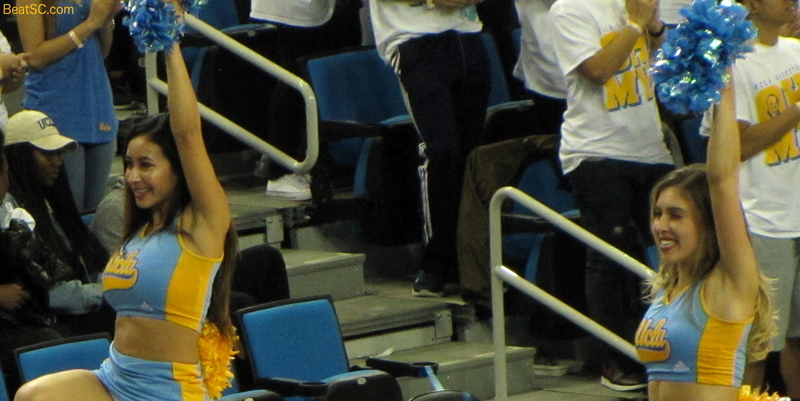 You can’t keep a good man down, or a good Bruin down, man or woman, as the Spirit Squad will prove. With a big revenge game coming up on the 18th against sc, it will be hard to “get up” for lowly Oregon State on Sunday. 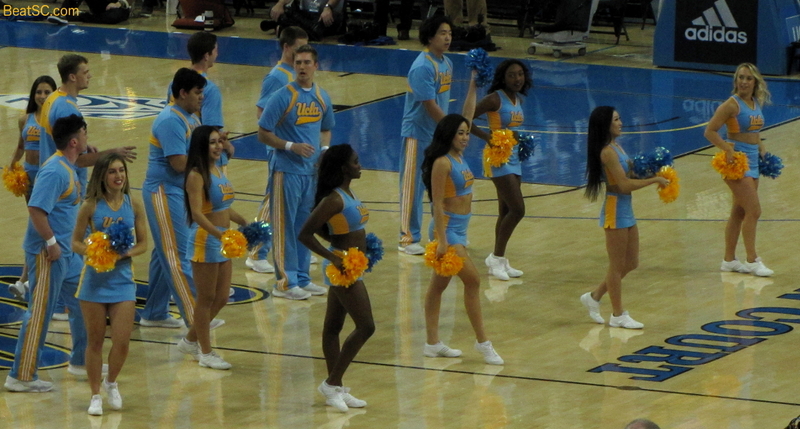 That will be the task at hand for Steve Alford, to keep his team from coming out flat. Luckily for Alford, even a pancake-flat Bruin team should be able to beat the Beavers in Pauley, considering that OSU is winless in Pac-12 play at 0-12. And just in case the Bruins need some extra spirit, the UCLA Spirit Squad is expected to be there in full force to spur them along. 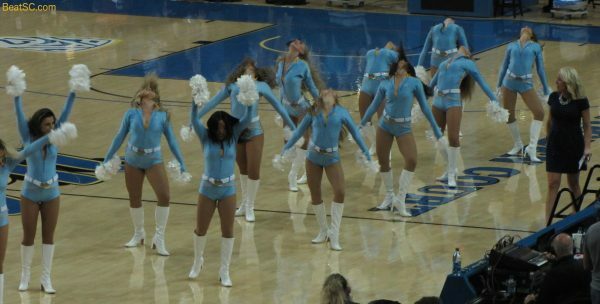 Supporters of that illustrious Spirit Squad should also prepare to show up in full force, in 5 days, when their online fundraiser auction opens for bids. 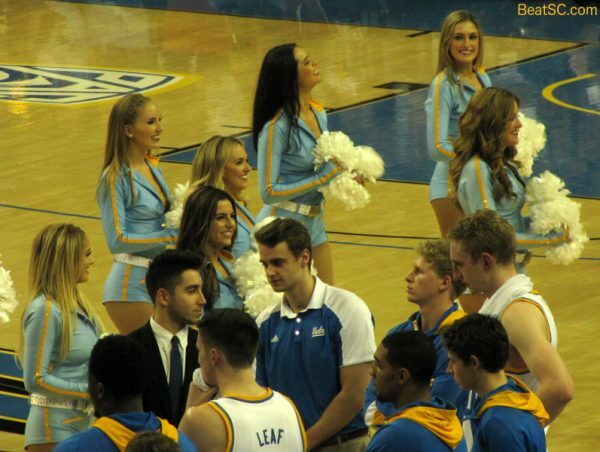 Every Spring, the squad hosts an All-Access Reception, with a super-fun drawing for prizes, and an auction for amazing items like vacations, dinners, autographed Bruin memorabilia, and even a chance to be a judge for the Cheerleader Tryouts. The reception is also the best chance of the year to mingle with the Squad members, to get to see how pleasant, down-to-earth, beautiful up close, and highly intelligent they are. You will simply be amazed at the high quality of human being that this prestigious selection committee approves for inclusion on the squad. But even if you can’t make the Reception in person on Sunday February 26th at 3pm, you can still join the bidding for the auction, online. I will try to include a link once the auction opens. 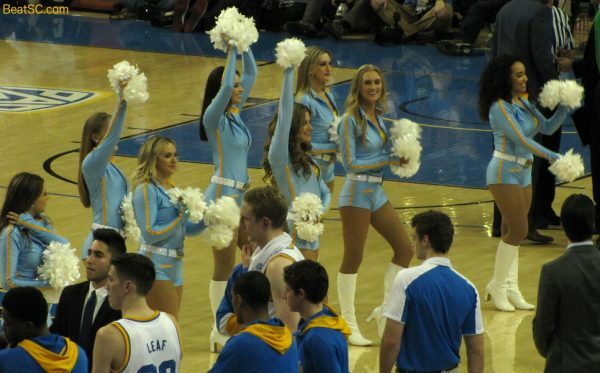 Meanwhile, here are 50 more Cheer Photos from Thursday night’s unbelievable game. 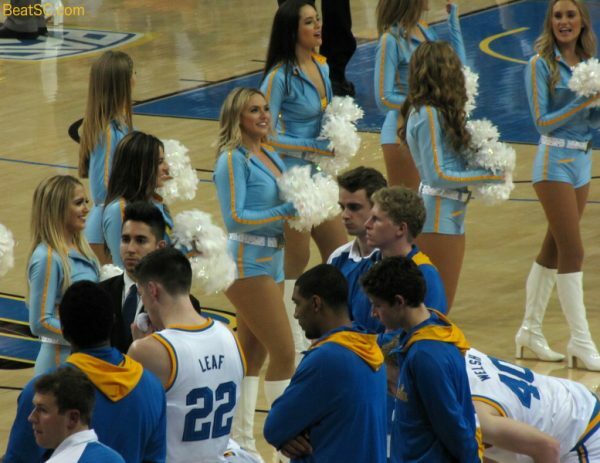 "BIDNESS AS USUAL" was published on February 11th, 2017 and is listed in Blue & Gold News, Non-Rivalry News, UCLA/usc/Cheerleader Photos.